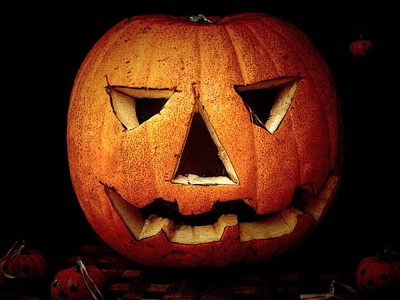 How Did Halloween Become Halloween? LOS ANGELES — Residents of a Southern California apartment complex say they saw a lifeless body slumped on a neighbor's patio, but didn't call police because they thought it was part of a Halloween display. Mostafa Mahmoud Zayed had apparently been dead since Monday. Cameraman Austin Raishbrook, owner of RMG News, told the Los Angeles Times he was at the scene in Marina del Rey Thursday when authorities arrived. The 75-year-old Zayed was slumped over a chair on the third-floor balcony of his apartment with a single gunshot wound to the eye. A Los Angeles County Sheriff's Department investigator says the case is an "apparent suicide." Raishbrook says neighbors told him they noticed the body Monday "but didn't bother calling authorities because it looked like a Halloween dummy." Reference for the above story HERE. 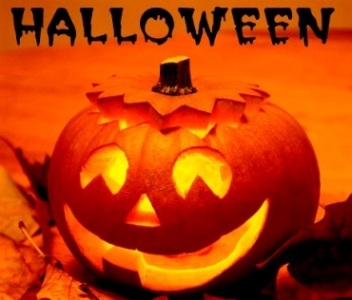 Halloween came to America in the 1840s with Scottish and lrish immigrants. Although clergy frowned on its celebration, Americans found upbeat ways to celebrate the "dark" holiday and by the1870s fancy costume parties were found everywhere. As the holiday headed west, Halloween celebrants put wagons on roofs, stole gates, let cattle loose, and turned over outhouses whether they were occupied or not. In 1920, Anoka businessman and civic leader George Green suggested an organized celebration to keep the young folks busy. The Anoka Commercial and Kiwanis clubs gave him their full support and in September a committee was formed. Soon teachers. parents and students joined in. Anoka became the self-declared Halloween Capital of the World. For the next month 1,000 Anoka students dreamed of their costumes. An evening parade featuring local and neighboring bands and drum corps was planned. After the parade, hundreds of bags of popcorn, candy, and peanuts were passed out to the marching costumed children. Everyone gathered at Bridge Square for a large bonfire and program. Every year the celebration grew more popular, but in 1942 and 1943 it was canceled because of World War II. And of course, a humorous look at the 50 WORST HALLOWEEN COSTUMES HERE.